This post is sponsored by Deciem and may contain affiliate links. As both a beauty-obsessed bargain hunter and a licensed esthetician, I know both sides of the story: it’s extremely important to prioritize quality skincare – but at what cost? 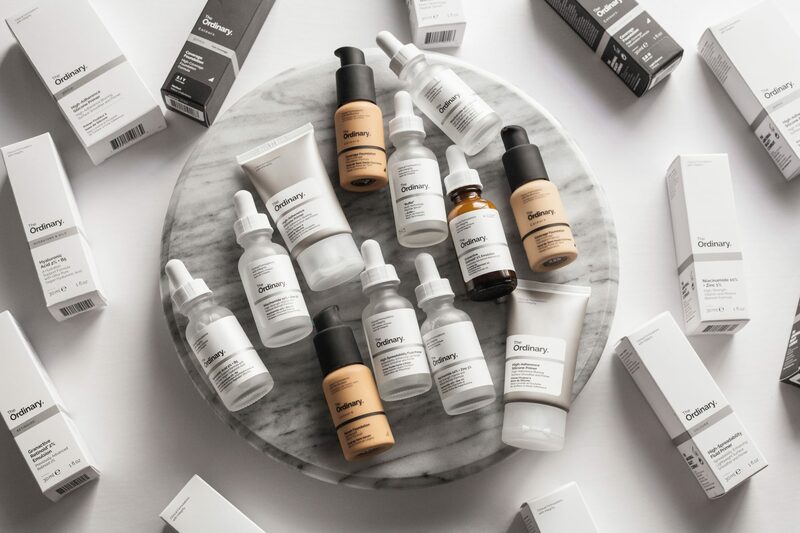 That’s where my love story with Deciem and The Ordinary began: they strive to encourage pricing integrity and honorable business practices in the skincare industry. At first, I thought it was too good to be true: high-end skincare under $20? Most of their products range between $4 – $10, and believe me when I say this: they’ve worked better than some luxury beauty products I’ve paid $50+ for. Being familiar with skincare formulations and ingredients thanks to my professional practice, I have a very strong opinion on the retail markup of today’s “clinical” skincare: most of it is simply well-executed marketing – nothing more. And in contrast, The Ordinary strives to create effective products using seemingly “ordinary” ingredients that are cheap to source and produce. This means amazing formulations that actually work, without the overpriced fluff. Allergic to silicone? There are silicone-free options. Do you prefer oil-free or alcohol-free formulas? They have those too. If this isn’t a huge selling point, then I’m not sure what is (aside from price!). Brandon Truaxe, founder of Deciem, shares a conscientious perspective in which building his business doesn’t mean resorting to “necessary evils” like testing on animals. This is why the brand made the decision not to sell in countries such as China, as they require animal testing. 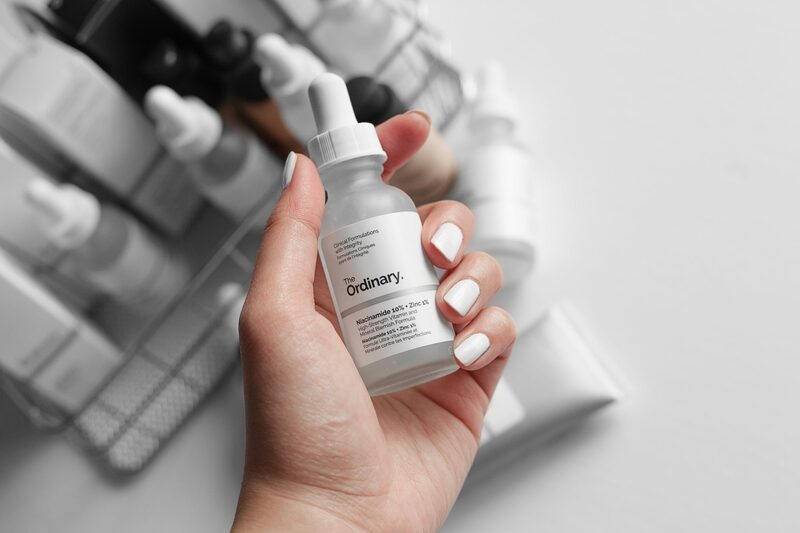 As an animal-friendly company that offers a wide array of clinical formulations with honest prices, Deciem’s The Ordinary is currently #1 on my favorite brand list. Now without further adieu, here are my current favorites. After suffering through an insane allergic-induced breakout last year, I was left with a lot of dark acne scars. Although I’d eliminated the cause of the pimples, I was on a quest to refine my skin texture and lighten the hyperpigmentation. 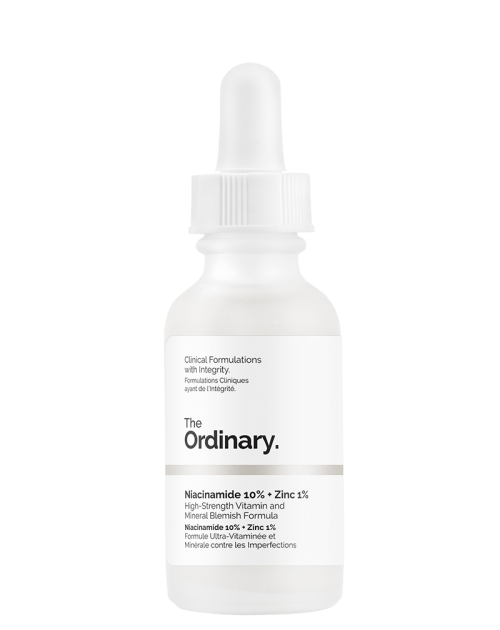 After doing some research and skimming through products I settled upon The Ordinary’s Niacinamide 10% + Zinc 1% solution. Niacinamide is also known as vitamin B3, which is extremely useful to repair skin by increasing its hydration retention, brightening and toning the skin texture, and decreasing inflammation, a perfect combination for fighting acne. Niacinamide is an underestimated acne-fighting ingredient and is also inexpensive – probably the reason why it isn’t touted by other brands as the “cure-all” acne ingredient. Zinc, another ingredient perfect for acne, kills acne-causing bacteria as well as reduces the inflammatory response caused by it. However, when zinc is applied topically in higher concentrations, it can be extremely drying and can also increase skin sensitivity. Thus, the 1% in this formula is perfect to be effective without drying. 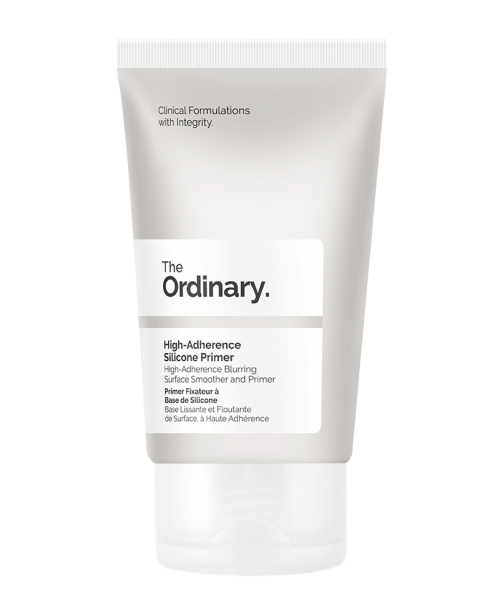 At less than $6 per bottle, The Ordinary’s Niacinamide + Zinc solution has been probably the most effective at reducing the aftereffects of my acne onslaught. I’m on my second bottle of this solution and have no intentions to stop, as continued to further improve my skin texture, brighten my acne scars, and keep pimples at bay. It’s also helped reduce the oiliness of my skin! If you’re familiar with basic skincare chemistry, hyaluronic acid molecules can hold 1000 times its molecular weight, which makes it an excellent ingredient for dry skin. However, I normally recommend against hyaluronic acid because HA molecules can be too large that it will not absorb properly into the skin, resulting in hydration being drawn out of the skin instead. 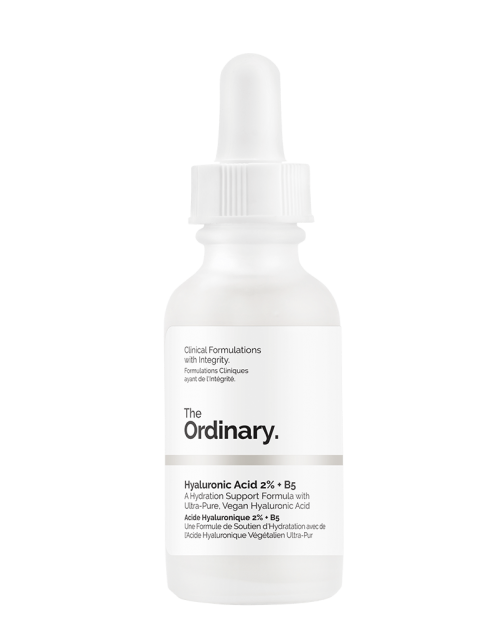 That’s where I love The Ordinary’s Hyaluronic Acid 2% + B5. This formula uses 3 different kinds of hyaluronic acid with different molecular weights, which helps for people like me who have issues with absorbing HA. This gives HA significantly better odds at penetrating the barrier and absorbing, rather than attracting hydration at the surface level. Now, add B5 to the mix – another water-binding substance – and it works together with hyaluronic acid to stabilize the skin’s barrier, thus reducing the loss of water in the skin. Another bonus: B5 refines the skin texture and brightens the skin too. 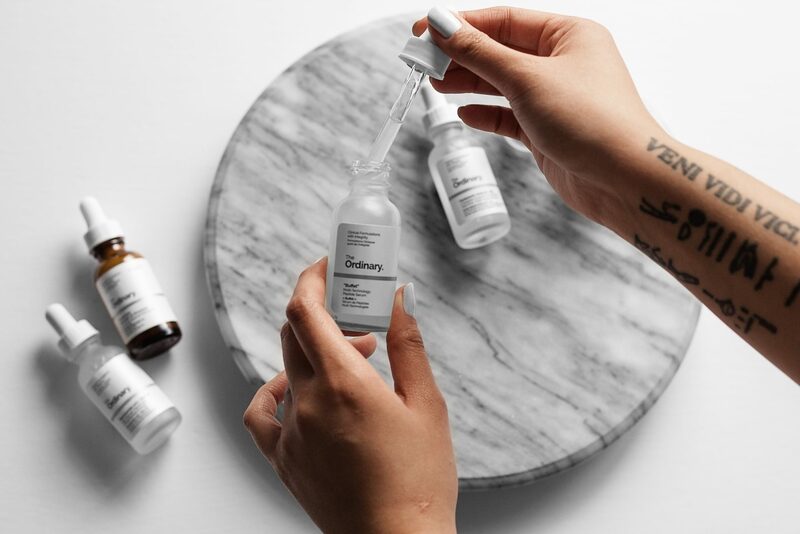 Overall: if you’ve had issues with moisturizers or oil-based hydrating formulas, definitely pick up this HA serum – it’s well thought-out and produces great results. Ah, retinol! 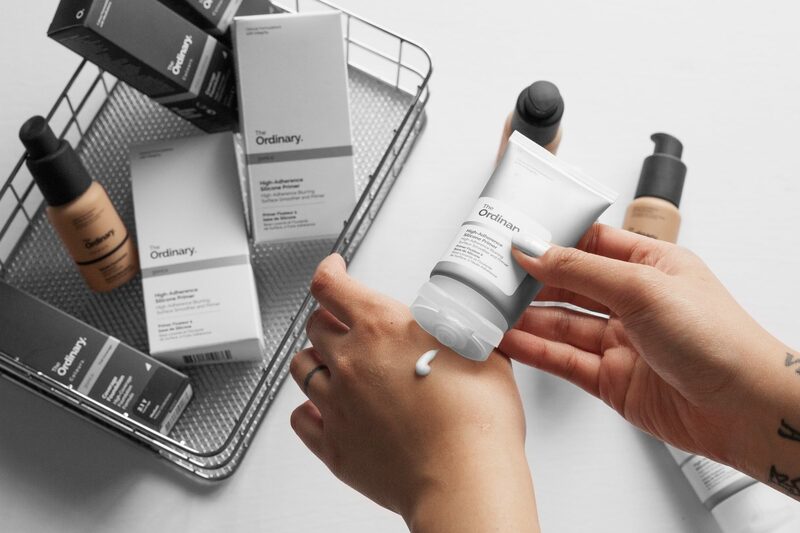 The Ordinary carries an extensive line of retinoids with varying strengths, from the retinol newbie to the seasoned pro. For people new to retinoids, the Granactive Retinoid 2% Emulsion is a perfect place to start. This retinoid encourages the skin to increase its cell turnover at a faster rate, which promotes new cell growth. It’s excellent for deeper concerns such as fine lines and wrinkles and hyperpigmentation. And because it sloughs off old skin cells, you can bet there’s a benefit in reducing the appearance of enlarged pores. Better yet: if you haven’t had good luck with retinoids before, The Ordinary’s formulation has focused on achieving great results without the irritation that retinoids usually come with. If you’ve been looking into high-end retinol treatments like Sunday Riley’s Luna Sleeping Night Oil, give the Granactive Retinoid 2% Emulsion a try. However, be aware that as with any retinoid product, you may have to go through a purging period between 2-6 weeks, as your skin cells are pushing anything hidden to the surface during cell turnover. Recommendation: Use this at night only, as retinol can potentially increase sensitivity to sun exposure. If you’re not a big skincare junkie but feel like your skin could use some improvement in all areas, you might want to start with a bottle of “Buffet.” If you’re unfamiliar with acids, retinoids in different concentrations, and other “scary” ingredients, Buffet may be right for you. “Buffet” is a combination of several peptides designed to combat signs of aging – but don’t stop reading if anti-aging isn’t your main concern. The 3rd ingredient on the list is lactococcus lactis lysate, a probiotic complex. So if you’re up for the probiotic skincare movement, you’ll love the idea of feeding good bacteria into your skin (as you already should be with your gut!). Another important ingredient in Buffet: Syn-Ake peptide complex. This synthetic peptide mimics the effects of snake venom from the Temple Viper snake: it’s perfect for wrinkles. The result? Firmer skin, reduced fine lines, oil reduction, and an overall healthier appearance of skin. Coupled with other amazing peptides like Relistase, Argirelox, and Matrixyl, “Buffet” is literally a cocktail of anti-aging peptides that not only result in reduced fine lines but also restores a youthful, baby soft and clear complexion. I’ve taken to Buffet better than any other products with aggressive active ingredients, so if you have sensitive skin but still want visible results, try Buffet. The Ordinary offers a line of hydrating serums focused on various ingredients from hyaluronic acids to squalane and cold-pressed oils, so there’s a different kind of hydration for every type of skin. If you’re experienced with active acids, you will not find a more affordable brand that offers acids for DIY at-home treatment peels. 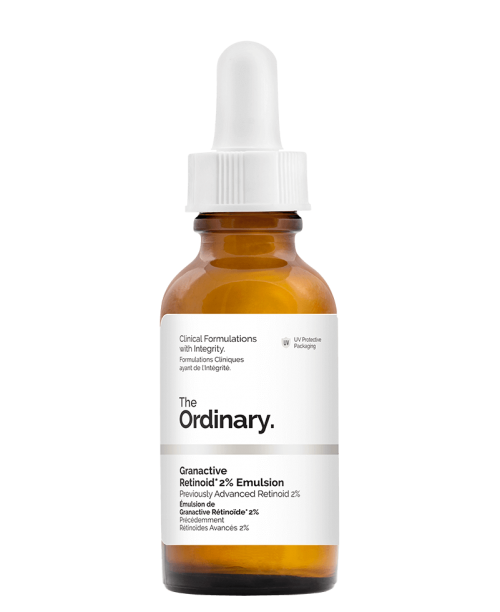 The Ordinary offers everything from vitamin C formulas, glycolic, salicylic, azelaic, lactic, mandelic, AHA/BHA, and alpha lipoic acids, so you have access to a huge catalog of acids for every skincare need. If you’re new to the world of acids but would like to get your feet wet, I highly recommend going with the Lactic Acid 5% + HA as it’s mild and superficial, meaning it doesn’t penetrate deep into the epidermis. Low-strength lactic acid can exfoliate much more thoroughly than any scrub-based exfoliating product can. 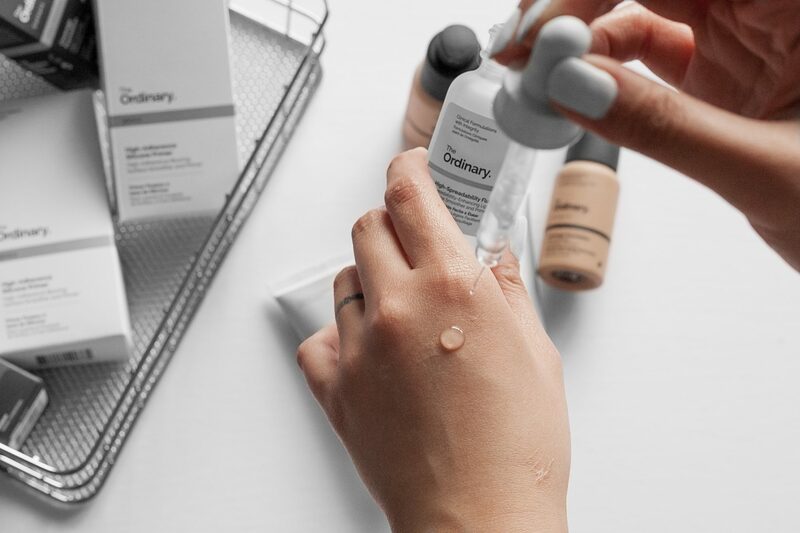 I’ve also heard that the Glycolic Acid 7% Toning Solution is very similar to Pixi’s Glow Tonic, so if you’re looking for an affordable alternative to the cult product, try The Ordinary’s toner. 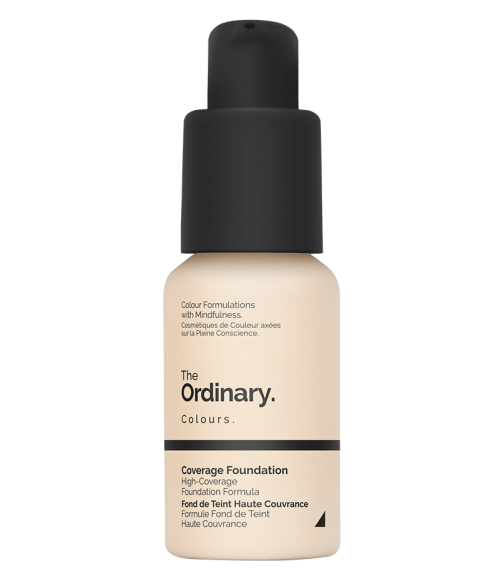 Although The Ordinary’s makeup selection is small, it’s received much praise and is quickly growing as a result. Their website teases that new makeup products will be coming soon, such as the Matte Watercolours and regular Watercolours foundations – oil-free, silicone-free foundations rumored to be thinner than water. For now, here are my thoughts on their currently available makeup products. If your skin doesn’t experience any reactions to silicone, I highly recommend the High-Adherence Silicone Primer! At the price of only $4.90, it’s even cheaper than most drugstore primers and truly helps my makeup stay in place. It’s not mattifying, but still reduces oiliness throughout the day and turns into a nice dewy natural finish on my skin instead of separating into blotchy spots like most primers wind up doing. The High-Spreadability Fluid Primer is, well, more liquefied than the previous one: it comes in the same glass vial as the skincare serums do, and spreads just like a thin serum. I found this to be a little too fluid for my skin type (true oily skin – gets oily before 12PM! ), but I’ve also found that it works great on those tough spots like around my nose, mouth and under eye areas where creasing forms in my foundation later on in the day. So although I use the High-Adherence Primer for my whole face, I dab on the High-Spreadability in my problem areas and voila! Makeup stays put. I’ve also found that it works great for flakey areas, just-healed pimples, or just dry skin in general. I’m obsessed with the Coverage Foundation! It truly offers great coverage with just one layer but still has buildable coverage for a flawless finish. It isn’t a mattifying foundation, so for me, as the hours pass even with a setting powder it settles to a natural dewy finish, but I honestly love it. I got this foundation in 2.1Y when I still had a summer tan but then later got 2.0N for my lighter wintertime skin tone. And for the price, I totally don’t mind having two shades so I can switch back and forth between summer and winter shades and mix them together during in-between months! 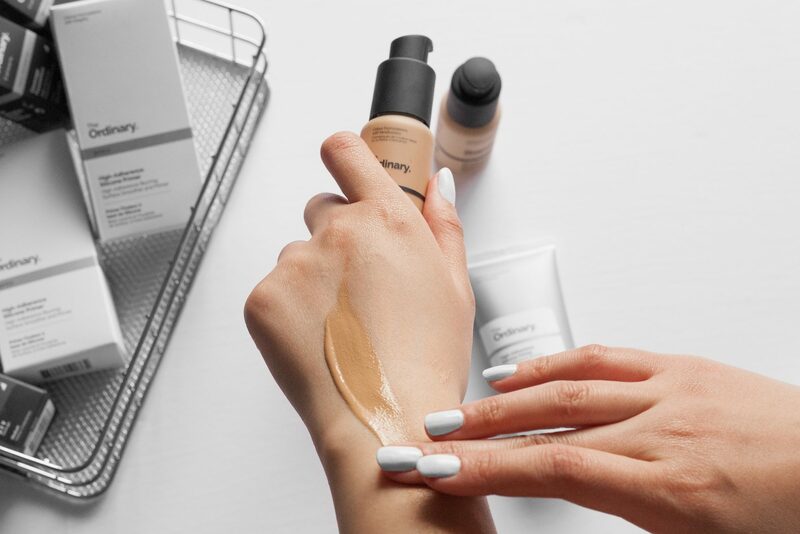 Just like the High-Spreadability Primer, the Serum Foundation is a thin and runny consistency, which means the coverage is lightweight but still buildable. If I wasn’t already using BB creams I may have used this foundation on the days I want lightweight coverage (like running errands or something). 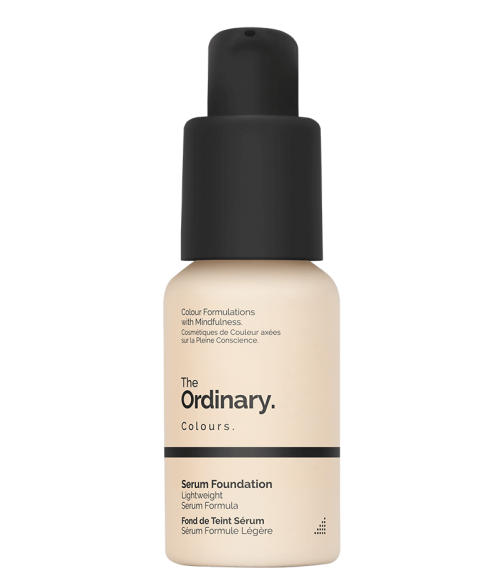 However, I think if you don’t have any dark spots caused by acne or hyperpigmentation, you might be better off with this foundation, since it’s actually quite hydrating! All the items I have tried from The Ordinary so far have been well worth the money and work even better than some of the high-end skincare and makeup I have tried. The Ordinary can be purchased on Deciem.com as well as Sephora and Amazon. What products will you try out from The Ordinary? Let me know in the comments and don’t forget to subscribe to my newsletter below for more skincare and beauty product reviews. This post was sponsored by Deciem. Although sponsored, all opinions are my own.